Popping in to say thank you to my friend and fellow blogger Alli, of Finding Plan A, for nominating me for the Liebster Award. I haven’t been very consistent with my blog since Gio was born, so I feel honored to get this little shout out. Originating in Germany in 2011, the Liebster Award 2017 is an online award that is given to bloggers by other bloggers. Liebster translates to sweetest, kindest, nicest, dearest, beloved, lovely, kind, pleasant, valued, cute, endearing, and welcome. The Liebster Award recognizes new and upcoming bloggers that have the potential to grow and become successful influencers within the blogosphere. All nominees are asked to share ten facts about themselves, as well as the answers to a few interview questions; so I’m sharing the quirky, slightly embarrassing things that have never before been shared on the internet. Here goes. I am a former competitive gymnast. I had an obsession with dolphins in middle school and came home from camp one summer to find that my dad repainted my room to look like an ocean complete with sponge painting ( for the coral) and dolphin wall paper. My first concert was *NSYNC in fifth grade. My first CD I ever bought (correction: my parents bought) was Savage Garden. I was homeschooled from Kindergarten to second grade. My first bone I ever broke was my (left?) thumb but I didn’t realize it until it was all bruised and blue and purple. I was a gymnast at the time and they still made me do exercises with one hand. My favorite singer is Michael Buble; I wrote in my high school yearbook that I would marry him. My first “boyfriend” was a boy I met my first summer at sleep away camp; he lived in Virginia and we sent love letters (okay more like pen pal letters) to each other for the rest of the summer until school started and he forgot about me. 1. What is one place you haven’t been that is on the top of your bucket list? Italy! I would love to start at the top of the country and travel down south and visit Naples and the surrounding towns, because that’s where my family is from. 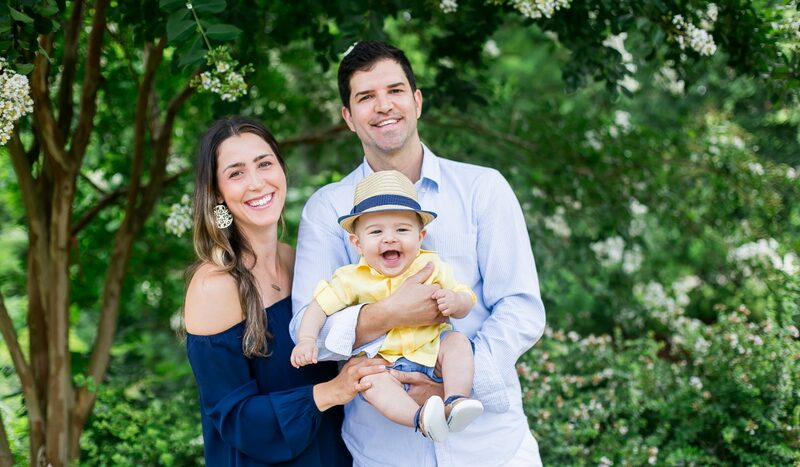 We named our son Giovanni, to honor our Italian heritage, so I would love for him to see the history behind his name. In the summer of 2013, I visited Martha’s Vineyard because my brother in law’s family has a house there. We rode in a boat out to this bridge called the “Jaws bridge”, appropriately named because it was the setting of the fictitious Amity Island in the 1975 movie JAWS. (Note: I have never seen JAWS). Apparently jumping off the bridge is a “thing”, and since I’m not really afraid of heights it didn’t seem too scary to me. Cut to me climbing up the bridge rail, 20 feet above the water and staring down at all the huge jellyfish floating below. JELLYFISH!!?? No one mentioned THIS! Kendrick was also standing beside me and having a slight panic attack. He forgot to mention to me until this very moment that he was afraid of heights. We debated climbing off and going back to the boat. But, we couldn’t back away now. So, we decided to strategically time our jumps in between the waves of jellyfish. As soon as I hit the water, I jumped on Kendrick’s back and yelled, “Hurry up, swim to the boat!” But he said he couldn’t swim too fast because we would catch up to the jellyfish in front of us. We ended up making it back to the boat without getting stung, but I didn’t swim in the water again the rest of the trip. 4. What’s your biggest fear? Spiders and snakes – and being trapped in a small space. 5. What’s a hidden talent you have? 6. What’s an activity, craft, or sport that you want to learn how to do? In high school I wanted to learn how to play guitar, and actually did try to learn, but I have concluded that I don’t have long enough fingers. I secretly always wanted to learn how to act, but the idea equally terrifies me. Nominate five blogs who you believe deserve to receive the award.